Casal Catala Washington DC is pleased to invite you to the 6th edition of the cherished Catalan traditions of Els Pastorets and el Caga Tió. 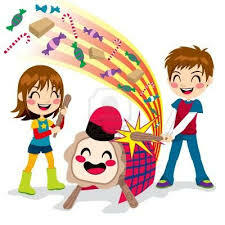 Afterwards the children will have the chance to get presents from the Caga Tió, the log that gives presents or excretes them, while being hit with a stick. We will round up our get together with a Christmas toast with cava. Entrance fees at the door the day of the play increase by $5. If you do not have PayPal but want to reserve your entrance ticket, please sign up here. This event has been cancelled. Donations already made will be returned. The Castanyada (Catalan pronunciation: [kəstəˈɲaðə]) is a popular Catalan festival, celebrated on All Saints’ Day. Like Halloween, its origins are in an ancient ritual festival of the dead. It consists of a meal of chestnuts, panellets, sweet potato and preserved fruits, typically with moscatell to drink. Around the time of this celebration, it is common for street vendors to sell hot toasted chestnuts wrapped in newspaper. In many places, confectioners often organize raffles of chestnuts and preserved fruit. The festival is usually depicted with the figure of a Castanyera, an old lady, dressed in peasant’s clothing and wearing a headscarf, sat behind a table, roasting chestnuts for street sale. Celebration of National Day of Catalonia is still on as weather forecast only anticipates 40% showers on Sunday. We will monitor the forecast and send another message if conditions change. Please register if you plan to attend. We need an accurate count of participants. Thank you! Casal Català de Washington DC cordially invites you to celebrate the National Day of Catalonia in good company with good food. Our traditional family barbecue will be joined by a special guest, Michael Mason, Director of Smithsonian Center for Folklife and Cultural Heritage who will share his perspectives on Catalonia seen from America, after organizing a genuine and heartfelt showcase of Catalonia’s culture at the at the 2018 Smithsonian Folklife Festival. The Casal Català will supply the meat, drinks and some appetizers; please, bring special dishes or deserts. We will start the set up at noon, volunteers are welcomed. Please send us an email at casalcatalawdc@gmail.com with your contact information and we will add you to our volunteer distribution list. DIRECTIONS to GREENBELT PARK:Visit Greenbelt Park WebsiteAddress: 6565 Greenbelt Road Greenbelt, Maryland 20770. Com molts de vosaltres ja sabeu, el festival de Folklife d’aquest any a l’Smithsonian està dedicat a Catalunya i a Armenia. Si vols conèixer personalment els catalans que fan el festival possible i que mostren al món la nostra cultura, apunta’t a la trobada de catalans el dissabte 30 de juny de 6 pm a 7 pm a la “Participant Hospitality Tent” situada al Mall per la zona del festival. Sera una bona oportunitat de compartir impressions i refrescar-se amb una cerveseta, gràcies a la sponsorització de Estrella Damm. També s animem a participar-hi i a convidar a tothom qui penseu puguin disfrutar de les nostres tradicions: castellers, gegants i nans, correfoc,…. entre altres activitats culturals i artístiques catalanes. 1. Programa: June 27th-July 1st and July 4th-7th. 3:15 pm to 4:00 pm – Taller de Sardanes – Join this workshop to learn how to dance Sardana, the traditional Catalan dance. Casal Catala WDC invites you to a two day Sardanes Workshop to prepare for the celebration of Sant Jordi at the International Day of the Book Festival in Kensington on April 22nd. Sunday April 22nd at the International Day of the Book Festival in Kensington, MD.